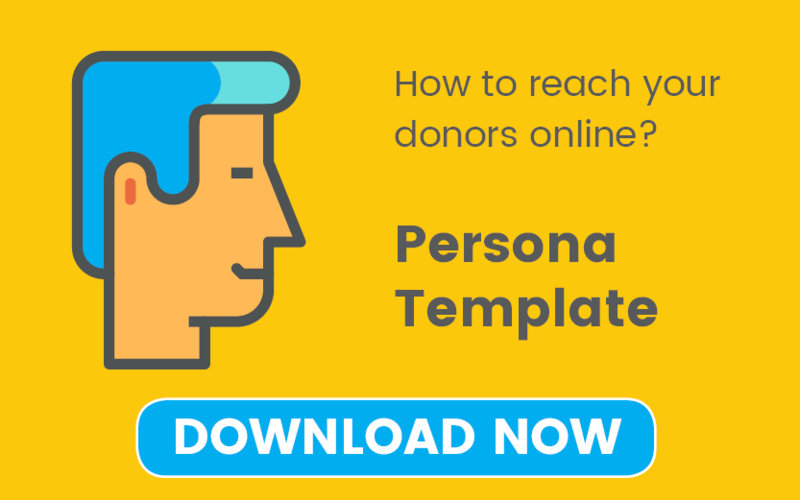 If you’re a non-profit you probably have a lot on your plate, but it’s important to check in with your donors regularly and let them know what is going on in your organization. One of the best ways to do this is through social media! More specifically Facebook Live! 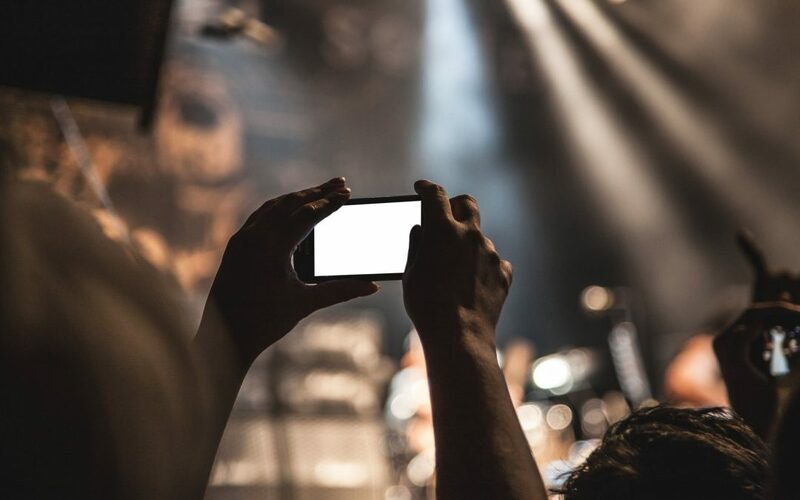 Going live has many advantages, as opposed to a regular social post or a video, and can even bring more engagement to your page. We are going to share with you some tips to get the ball rolling and have you using Facebook Live as part of your non-profit marketing strategy. Facebook Live has been used by lots of organizations but from what I’ve noticed, I can’t really see that there is a strategy behind it. I think there is a big opportunity that gets missed and because online marketing is all about how can you better get to know and trust someone. What better way to see an organization’s true colours than seeing them live! Don’t worry about failing! I know it can be very embarrassing but that’s okay, it’s just life, and you are a human. It actually makes you more likable and people feel more comfortable listening to someone who shares similar qualities to them, and not some perfect authority figure. So let’s think about how you make Facebook live as part of your strategy. First, think about topics that you can share on a regular basis. It could be events, interviews, behind the scenes, or impact stories. I think there are lots of opportunities just sit down and brainstorm with your team and make a list of things that would fit with your current marketing strategies. Just make sure that you’re not putting too much on your plate, as a non-profit you’re busy enough as it is. It’s important to use Facebook Live to supplement your current marketing strategy not create a full plan in and of itself. The next thing you should think about would be how long should you broadcast for. Based on what you’ve decided to do content-wise determine a time frame to talk about all your information. It’s also important to keep in mind the length of the broadcast; the longer the Facebook Live the harder it is to keep people engaged for the whole thing which then hurts your engagement rating Facebook gives. If you can keep it short and sweet, do it! Don’t drag it on. So, when you’re ready for your first Facebook Live (Eek!) The first thing you should do is pick a topic! Make sure that topic is really specific and relevant because remember, it needs to be interesting for your audience. Remember that these are general topics and you should make yours specific to your non-profit organization. Here are some great examples of Facebook Live broadcasts that did really well! The Humane Society they recently did this. 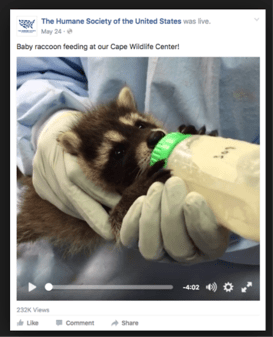 They were feeding a raccoon, and of course, baby animals are always really good to get people engaged. This example is from the MET (Metropolitan Museum of Art) in New York City. 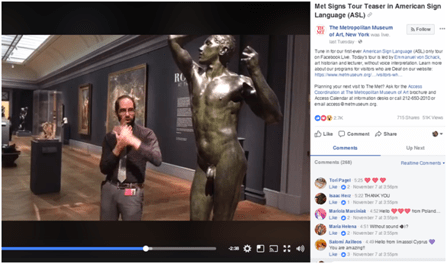 What is really cool about this is that they did the whole broadcast in sign language to promote their American Sign Language exhibit. So the whole tour was in sign language which was pretty cool. So, once you’ve decided on a topic. It’s important to have an outline of what you’re going to be saying (if you will be talking on this Facebook Live). The outline consists of an intro, a middle, and an outro. With the intro, you have to remember to introduce yourself and your topic. You really don’t know who will show up for your broadcast so treat every time like most people are first-timers and explain a bit about your organization, who you are, and what you will be covering. Make sure to thank them for taking time out of their day. During the actual broadcast, you can do a ton of things to help “boost” your video. Ask your viewers to leave comments, or follow you. When your viewers leave comments it sends out “notifications” to their friends that say they are watching a live video. This can be a simple question like asking where everyone is from or what they want to hear you talk about next time. With the outro the same, you thank them and look through the comments if there is something you would like to review. Since this is a live event, it can be a little nerve-racking. Make sure to do a few test runs before you go live. When setting up your Facebook Live select broadcast to “only me” or even better “specific friends”. If they are nice, they will give you feedback on what you can improve on and hopefully make the live version go smoothly. Its also important to check your internet connection, your audio, and make sure to eliminate any background noise. Check what is in your background as well and make sure you have decent lighting. It doesn’t have to be perfect but remember this is something you want people to enjoy to watch so remember the little details.Now, there is a little spot where it says “say something about the video” this is where you write in a short description about your Facebook live video. This helps people quickly see if this is something they would be interested in. You’ve got your topic, set up your environment and you’re ready to go… But are you?! Before you go live the most important thing to do is promote it! Tell people when you’re going live because it doesn’t help if you go live and nobody knows about it. Announce it through Facebook, Twitter, email, and if you do it on a regular basis you can change your header photos on your social media accounts to display the date and time of your weekly Facebook Live broadcasts. After you’re done your Facebook live you have many different options to share your video! You can share it again on Facebook, send out a re-play in your newsletters, or send a one-off follow-up email. One of my favourite things to do is repurposing. So once you’re done your broadcast, download it and you can put it on YouTube or create a section on your website for Facebook live videos. If it’s a longer video you can divide it down and share through other media like Instagram. You can also create a blog post. We use google transcribe so you can download the text and you can edit it to create a blog post from it. Here is a handy infographic to help you remember all the steps involved!